Silver Plated Engraved and Personalised Photo Frame. Available in 3 sizes, 6" x 4" (small), 7" x 5" (medium) and 10" x 8" (large) and has a stand on the back. Engraving can be portrait or landscape please specify this with your customisation. If you do not specify we will engrave for a portrait orientation. 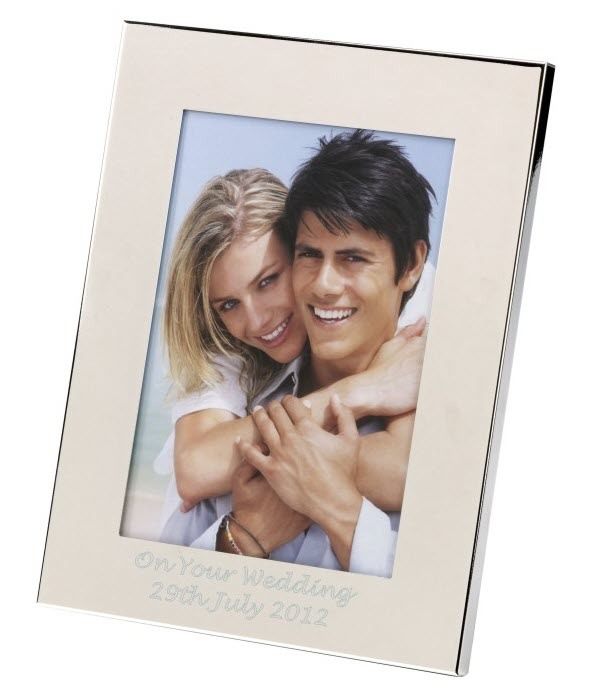 A great present to put your Wedding photos in or for a Christening and Birthday gift. A great unique present for all occasions.